This is a 1ct princess cut diamond ring, surrounded by approximately 1ct of smaller, princess cut diamonds. Set in 14K yellow gold, this gorgeous ring would be absolutely stunning on any woman’s hand. 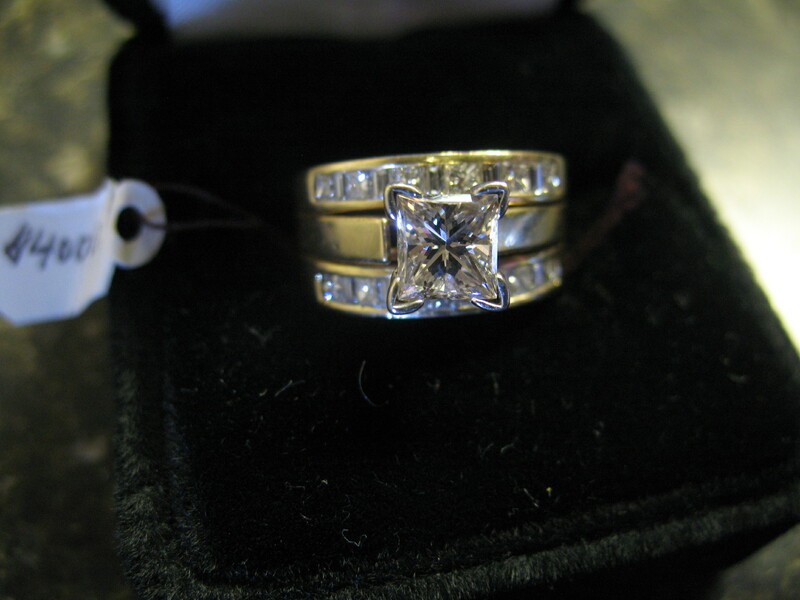 For more information on this ring, please contact Mike at 217-228-5626. This price includes shipping and handling inside the United States. If shipped outside the United States then the price will be adjusted accordingly.